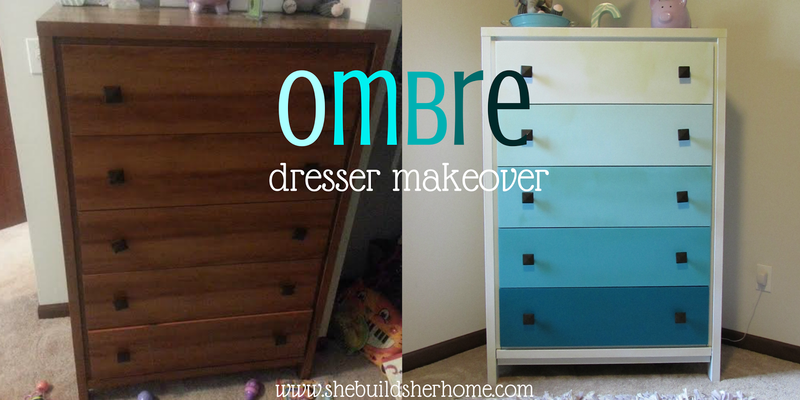 I am so excited to share this dresser makeover I recently did! 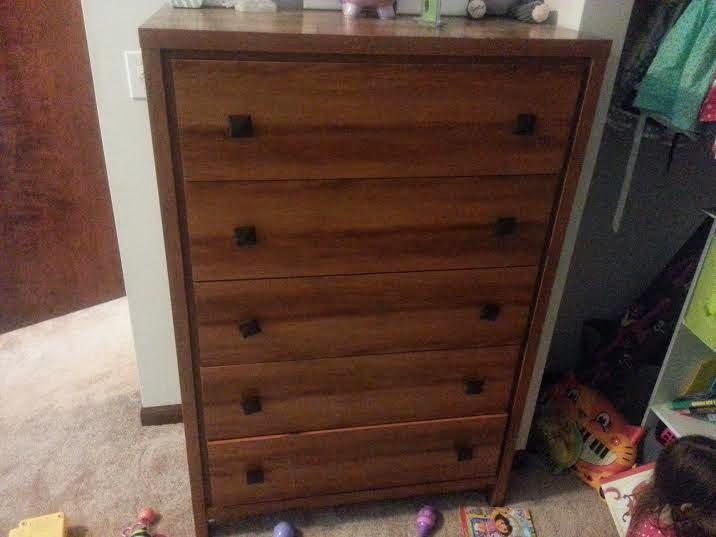 I got this dresser years and years ago from Wal Mart of all places. Please excuse the mess and the cruddy phone photo. I thought to take the picture seconds before we carried it outside. But this is the before! 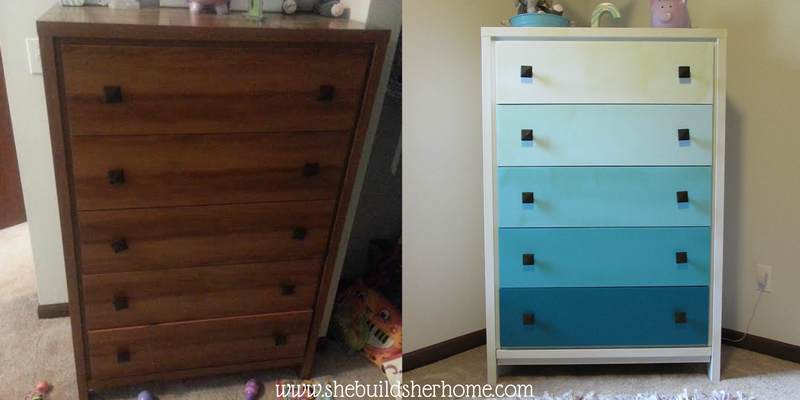 It's a sturdy, large dresser, but pretty plain. Or I should say WAS pretty plain! My girls are now sharing a room so I knew that I wanted to ditch one of the dressers we had that was smaller and use this larger one for them to share. I have a very long term bedroom plan for them which includes white beds someday, but that day will likely be several years down the road when my youngest upgrades to a big kid bed. So for now, they have mismatched furniture, but I wanted this to fit in with the long term room plan. 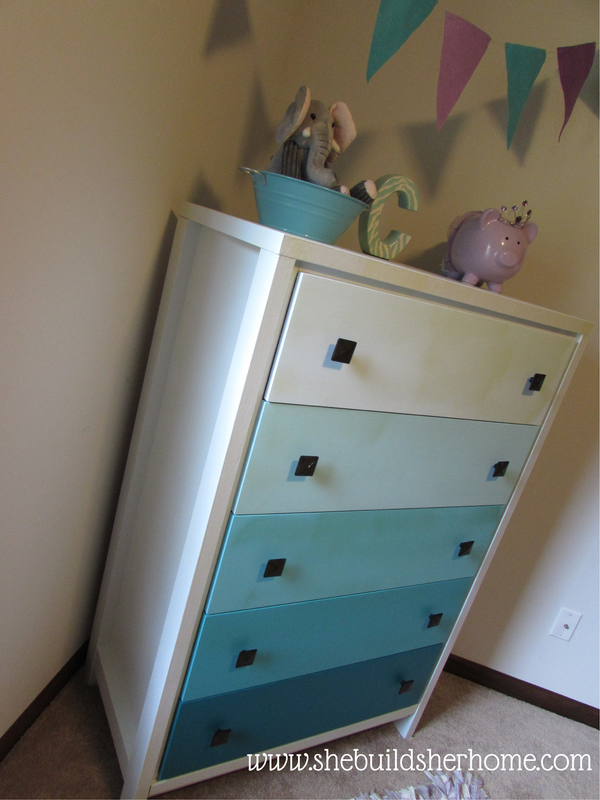 I originally saw this tower at Target, where I fell in love with the ombre look on the drawers and thought it would be so easy to do! 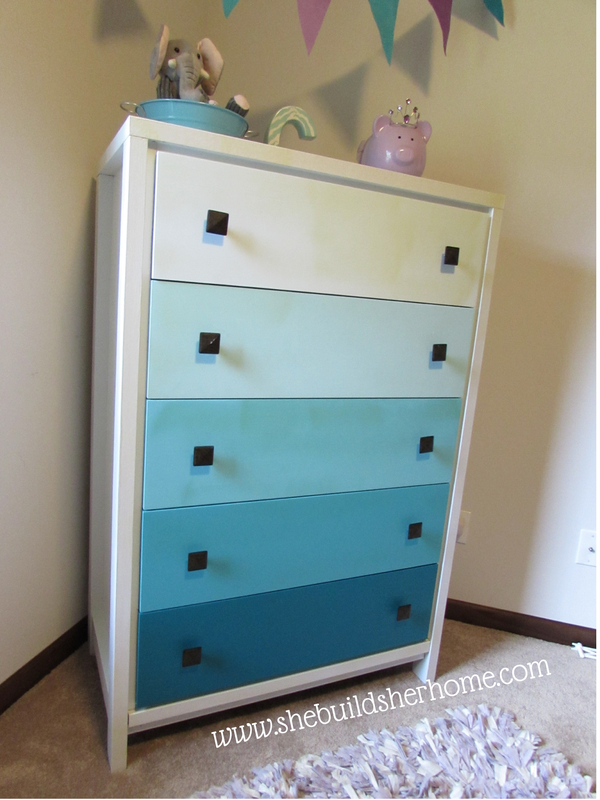 After I saw it and loved the look, I knew I could easily recreate it on a large dresser, in the color scheme I wanted. And guess what? It was the easiest project ever! I decided to paint the bulk of the dresser in a shade of white since I am going with white furniture throughout the room eventually. This was for all the detailing on the dresser, the top, sides and back. 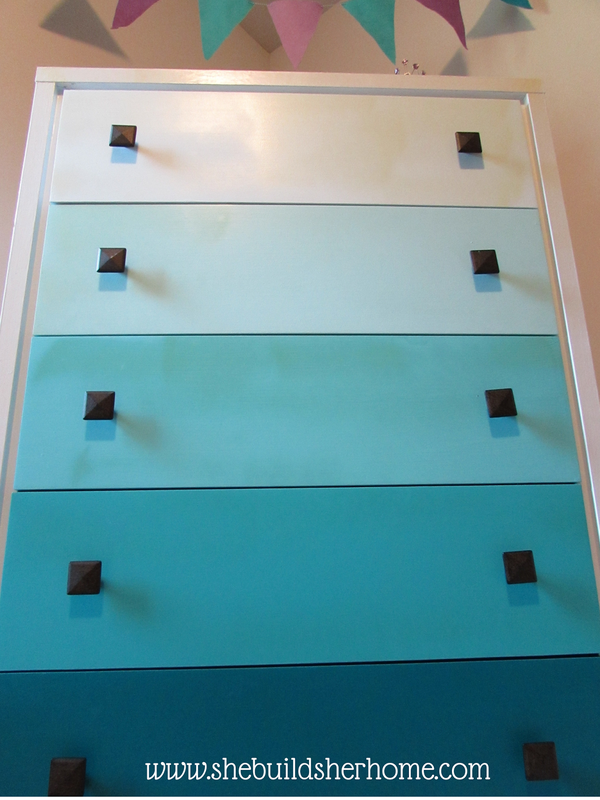 The top drawer is actually a really light shade of blue/green, even though it looks white. In person you can tell the contrast between the base and that drawer better. For the drawers, I just grabbed a paint sample sheet that was in the color scheme I wanted and asked for a sample size of each of the colors! I used probably about 1/8 of the jar in each color so I wish I could have gotten an even smaller size, but this worked well and was really cheap. I primed everything first, then did two coats in each color, and voila! 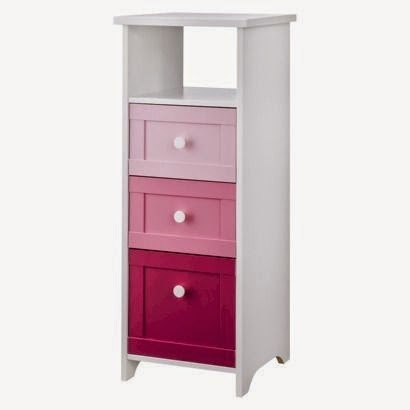 My girls' bedding is shades of teal and purple, and they already have a purple nightstand, so I knew I wanted this color scheme for the dresser. I think it goes really well with their bedding and I love that it's not too childish or something they will outgrow in a year or two. You can see it from the hallway going into the room and it is so unique and fun and just perfect for them! It makes me happy every time I go in there! I decided to leave the same knobs because they are in good shape, and I like how they look just fine. I think it would be really fun to get some faux crystal knobs and make it super girly, but when you need 10 knobs it adds up quickly so I may do that sometime in the future. 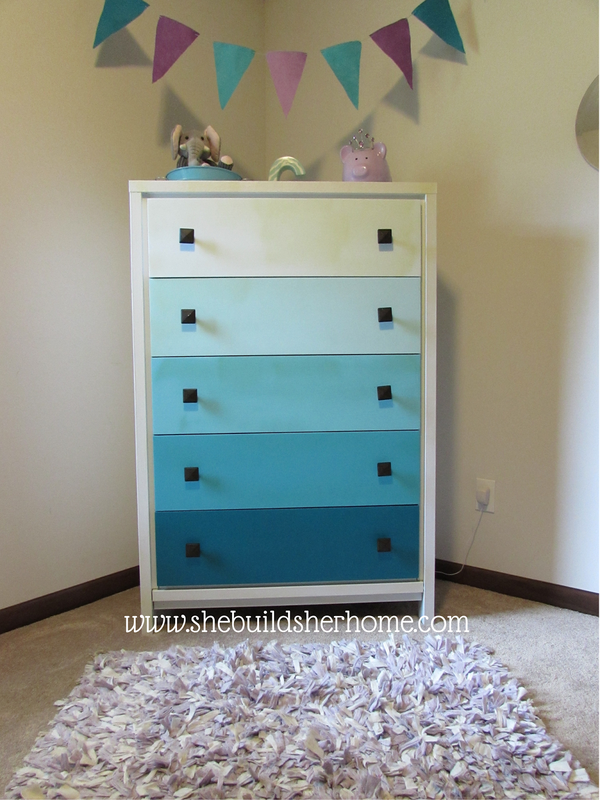 For now, this was a really budget friendly DIY project, coming in under $15 or so! Have you been bitten by the ombre bug? 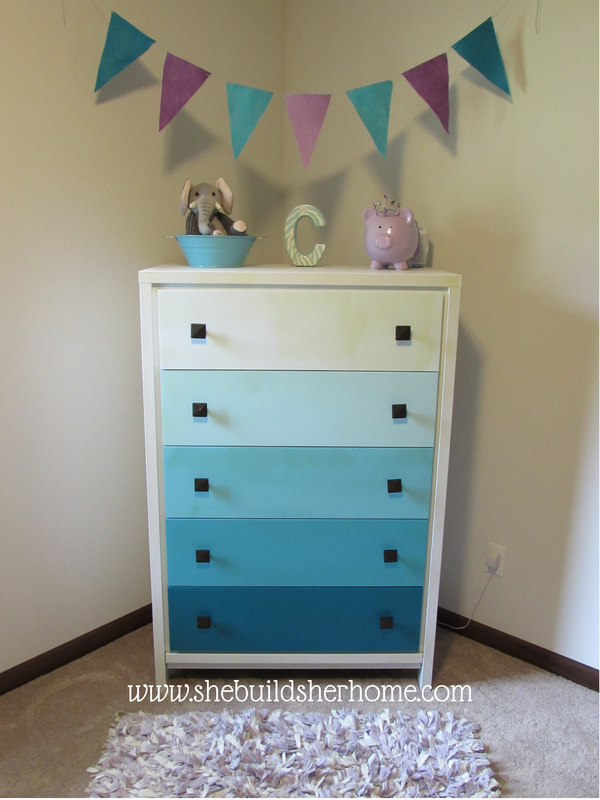 I just love the way it looks and it adds such a fun pop of color to things! So cute. The sample size was such a good idea! horizontally long one a dresser. Just wondering if that's a weird Indiana thing or what! Haha! It looks so cool! What a fun idea! “what is” even while you are striving to create on purpose that which “can be”. This can be a challenge to the most faithful among us because of a pervading sense of discontent that has consumed many of our lives.